HUNTINGTON BEACH City Council on Monday will consider a lease on the theater in the Central Library (Orange County Tribune photo). 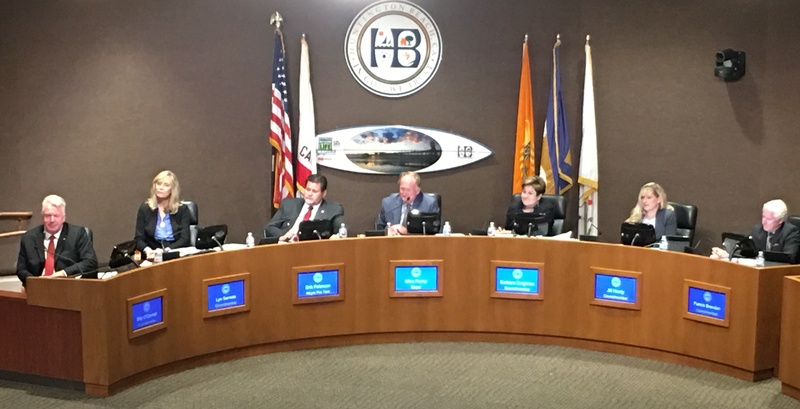 A contract for a new tenant to stage plays and other entertainment at the theater in the Central Library goes before the Huntington Beach City Council when it meets on Monday evening. The meeting will begin at 6 p.m. in the council chambers in the Civic Center, 2000 Main St, (at Yorktown Avenue). If approved, Braver Players Theatrical Foundation – which stages plays featuring “kids and teens” – would move in for a term of one and a half years, ending on Jan. 19, 2020. Rent for that period paid to the city will be $47,062.50. “Teen Troupe,” Jan. 12, 2020. The contract is non-exclusive and can be renewed for two years, if both parties agree. The theater/library are located at 7111 Talbert Ave. (at Goldenwest Street). Also on the agenda will be a “debriefing” on the annual Fourth of July events in the city, and an proposed interim moratorium ordinance on shared mobility devices.